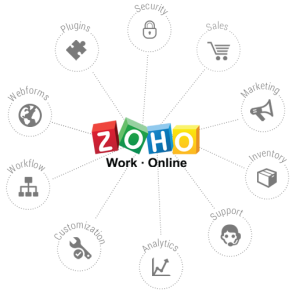 We are one of 20 firms in the world that are certified as Zoho Advanced Solution Provider. This certification means we have a broad range of knowledge across all of the Zoho product offerings. Whether you want to work with Sales and Marketing apps like CRM, Support, Campaigns, Survey, Sales IQ, Recruit, People, or Connect.. If you want to integrate with non-Zoho products like Hubspot or your website, we can help you there as well.